Yes! 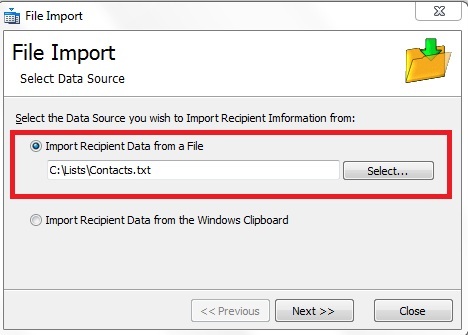 You can import email contacts from .csv or .txt files. Below is an example of a .csv file. Each record (line) in a .csv file contains the same number of fields (this is important for consistent results.) While the first line of text in the example above contains the field names (i.e. Email, FirstName, etc.,) it is not a requirement and some .csv files do not have field names in them. 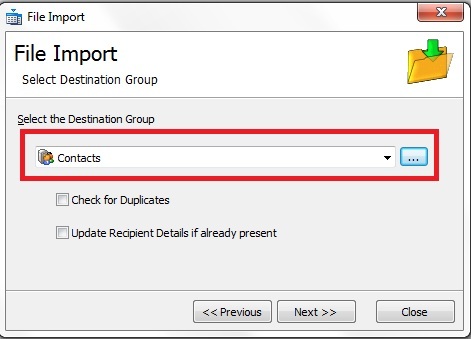 To Import your File into an email group in GroupMail, go to Groups/Import. Select ‘File Import’ and press Ok.
Press the ‘Select‘ Button and Browse to the location of the File you wish to Import into your Group. Then press Next. 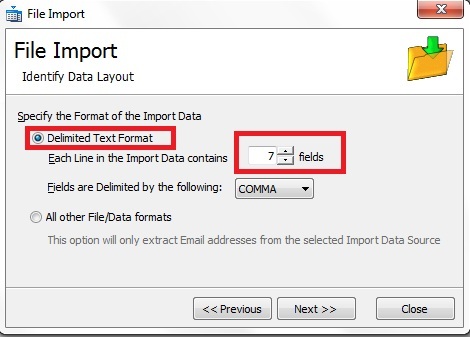 As you are importing a Delimited Text File it will show as a ‘Delimited Text Format’ with the same number of fields that are contained in the File, Next to Proceed. 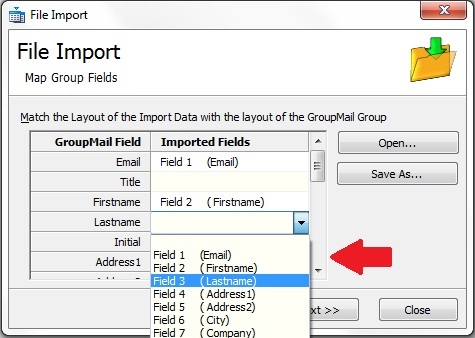 You can select the Group that you want to import the data to or you can create a New one if you wish, then press Next. Now you can Map the fields from the .CSV File to the Fields available in your Group. Once you click into the Field, there is a drop down menu listing the fields available on the File you are Importing from. Once all fields have been mapped, Click Next. All that is left to do is press the ‘Start’ button. Congratulations! 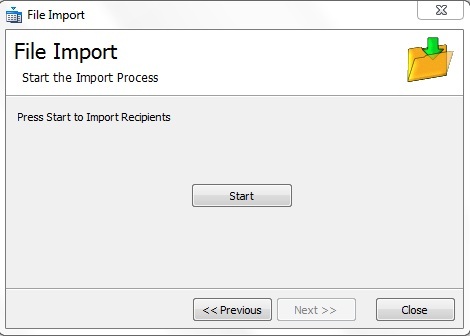 You have successfully imported your contacts from a .csv file into GroupMail. 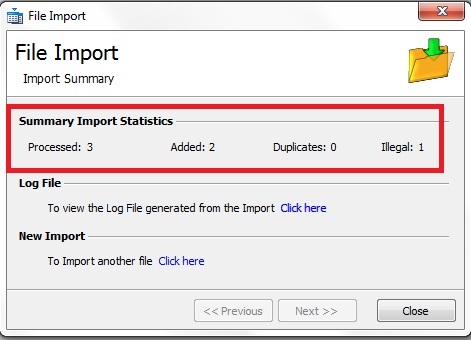 To view the full log file of the import, select the ‘Click Here‘ Button. 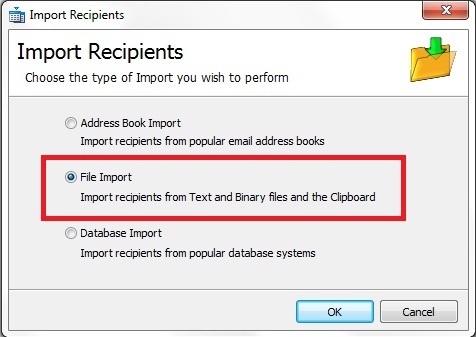 After you import the file, you can view the details of all recipients in the group by going to the Groups screen and double-clicking the group to open the “View and Manage Recipients” screen. Interested? Download our award-winning GroupMail newsletter software and start importing .csv files into your own mailing list groups.